We are celebrating ALL THE THINGS today! Monday, April 22nd was Earth Day, but really it's Earth Day every day! We are hosting a marvellous Lorax party for the little ones this morning (ages 2-6) with stories, crafts and fun! Every family will go home with a blue spruce sapling to plant and care for. It's Springtide Music Festival in town this weekend and Blue Heron is home to 3 pop-up events today! Saturday morning there is a calming yoga class led by Jennifer Bradley to music by Brian Wride in Blue Heron Studio. Find perfect harmony within. Allow yourself to flow, syncing breath with movement, while falling into the rhythm of live music. All levels and all abilities welcome. Bring your mat and join us! More Springtide entertainment with Isabel Madeline performing in-store - delightful! Ken Welsh will help us celebrate Shakespeare's birthday (April 26, 1564) in fine style. And yes -- there will be cake -- and many, many candles (455)! Our Lorax party continues with activities for the older kids (6+). Same fun, same take-home blue spruce sapling to encourage all to nurture nature. Spinal Poetry Contest. Walk around the store and grab anywhere from 3 to 6 books and stack them -- using their titles -- to create a unique poem. Instagram your poem (#spinalpoetry) and you could win an exceptional prize package. Tag @blueheronbooks in the image and remember contest participants must be at least 13 years old. (Contest is not directly affiliated with Instagram). There is also a children's category, so everyone can have fun creating poems! Armando Lucas Correa, the internationally bestselling author of The German Girl and a friend of Blue Heron Books returns May 5th for Books and Brunch! Armando is an award-winning journalist, editor, author, and the recipient of several awards from the National Association of Hispanic Publications and the Society of Professional Journalism. He is the author of the international bestseller The German Girl, which is now being published in thirteen languages. Armando new novel, The Daughter's Tale, delivers an unforgettable family saga of love and redemption during World War II, based on the true story of the Nazi massacre of a French village in 1944. The feel-good hit of 2013, The Rosie Project is a classic screwball romance about a handsome but awkward genetics professor and the woman who is totally wrong for him. 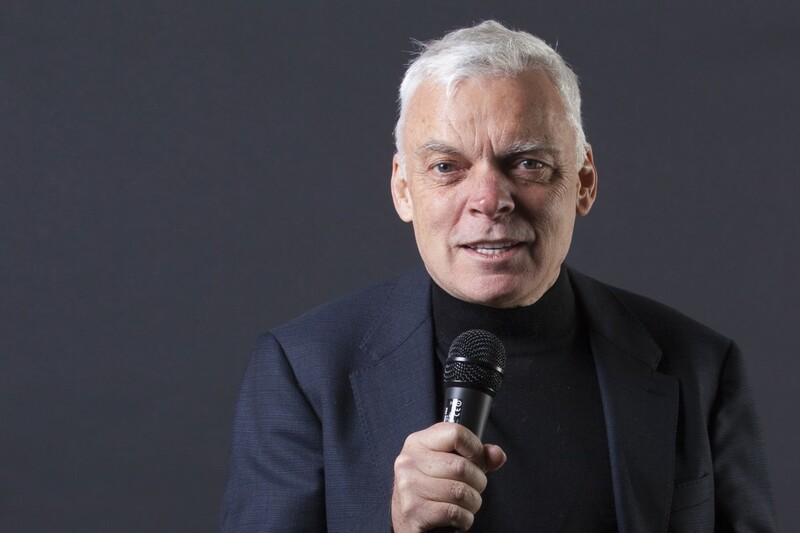 The Rosie Project put Graeme Simsion on the map in North America and endeared Rosie to a legion of fans! We are delighted to announce that Graeme will be visiting from Melbourne this June to read from the third book in the trilogy -- The Rosie Result. The event is Wednesday, June 12th at Wooden Sticks Golf Club, 40 Elgin Park Drive in Uxbridge and gets underway at 7:00 pm. Your $25 +HST ticket includes dessert and coffee + a $10 coupon towards your book purchase that night.